Fight Night Australia is all about nurturing fighters from the complete novice divisions right through to the professional levels in all the full contact fighting styles. Fight Night Australia starts with novice 2 round competitions preparing fighters to compete at the amateur levels which ultimately prepare fighters for the professional scene. 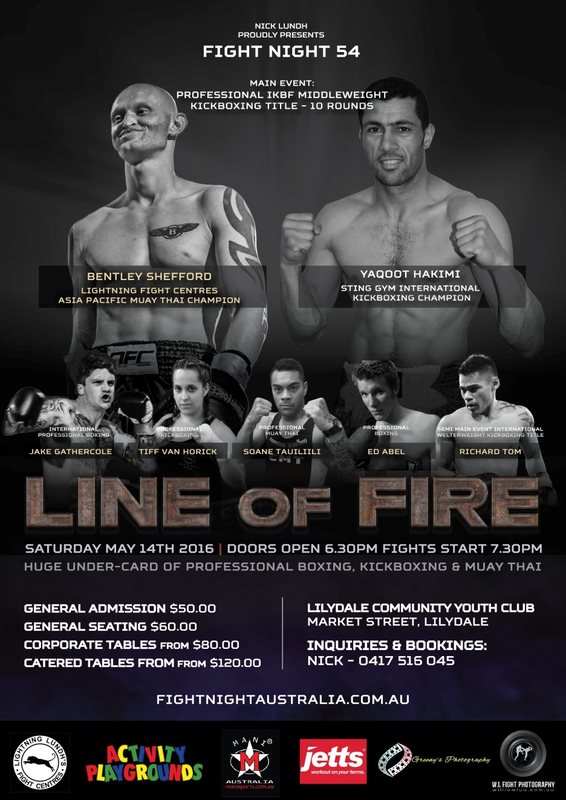 Fight Night promotes novice and low level competitions and amateur events in boxing through the Victorian Amateur Boxing League and for Kickboxing, Muay Thai and MMA through the Fight Sports Association. Fight Night Australia then works with all the professional sanctioning bodies with it’s professional Fight Night series. It all starts with the grass roots low level competitions.